Game night just got gross - in the best way! 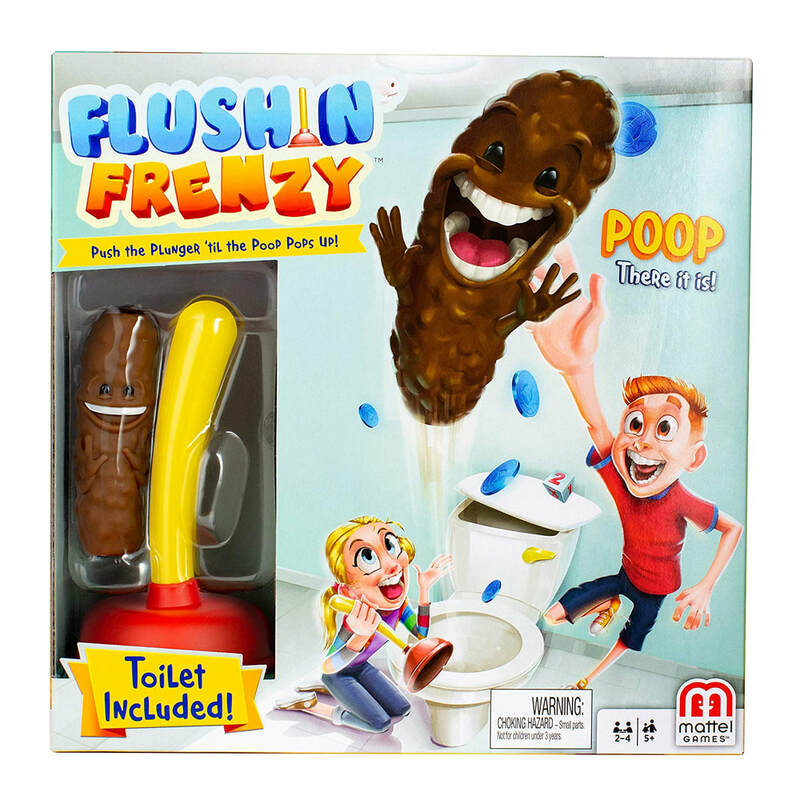 Flushin' Frenzy makes being a plumber fun! Push the toilet handle to release the die. When a number pops up, you plunge the toilet that number of times. Be ready to catch the poop when it flies out at any moment! POOP - there it is! The player to catch the poop wins a token, or two tokens if they catch it in mid-air! Set includes 1 toilet, 1 plunger, 1 die, and 10 score tokens.